Pros: Still working after almost 9 years. Never had any problem since day 1. Other Thoughts: I have built 3 more PC since I used this MB and I been using nothing but Gigabyte MB, just because I had such good experience with this MB. Pros: You want pros? How about 6.8 Years of use? Stable as hell. This thing lasted through 2 different power supplies dying. Dying memory. Hot summers. This. Motherboard. Is. A. Tank. Cons: So, 2 cons. 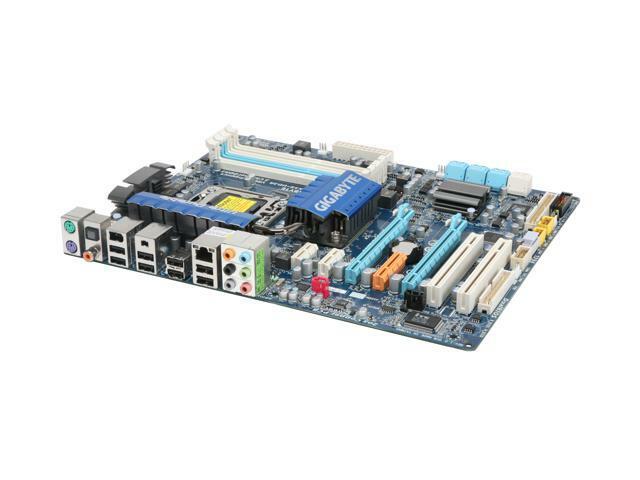 First- I bought this mobo thinking that 4 memory slots would be plenty. But, alas, DDR3 got cheap, and 3 way kits saw the way of the do-do. Less a con, more consumer stupidity. Second con- I could NOT get a good, stable OC on this thing. Stock was always amazing, but even the smallest OC would fail a 24 hour burn in. Oh. No SATA3. But this was the budget board back in the day. Other Thoughts: So, the wife is going to get this system after a new case arrives this week. Moving to another X58 system but needed a 120mm rear exhaust for closed loop cooling. Goodbye old friend. Gunna miss ya. Cons: Everything was pretty smooth up until about after a year and a half of owning it. I've been having issues with reboots without a BSOD. Optical drive connections started acting up, USB ports started acting up, sometimes the video card or sound card would have to be switched to another slot. But the main problem is that whenever I do anything like watch an HD video or even boot up a game, the system just reboots, every time, within a minute. Other Thoughts: I don't know exactly what's going on, but for all of this stuff to happen at once from out of nowhere has to be from an undurable and unstable board. Pros: I've had this since 2009 and it's still going strong. This board even got a bios update that allows sli support. Tallk about bang for your buck! Other Thoughts: Very pleased with this purchased, would buy again. Comments: If Gigabyte helps me fix the 16 GB ram not being "fully used" in Windows 7, I will give this board 5 eggs. Newegg gave me exclellent service on the delivery of this board. Pros: -Worked great when it did work. -Easy OC features and an intuitive BIOS. Cons: -Only 4 memory slots, 3 for triple channel. -This is the second EX58-UD3R to die on me. My PC will attempt to boot for 5 seconds, then it will restart. No POST. Rinse and repeat until I shut off the power supply. Now I have to do an RMA this late in my ownership. I'm going to contact Gigabyte on Monday to see how much I will be charged for a repair/replacement. If it's expensive, I'll just buy another board from another manufacturer. Thank you for your comments. Honest and constructive opinions are always welcome. We apologize for your difficulty with your Gigabyte product. Please contact us at newegg-support@gigabyte-usa.com with the case number 2011032204 in the subject line. We will provide personalized service and analysis to help solve your issue as soon as possible. Cons: After 18 months the board lost all SATA ports. I am a tech with a master degree in CS so I have the tools to check out the board. Would hang on boot at HD access. After running complete diagnostic and troubleshooting determined SATA chips had died. Strange thing is there are 2 SATA chipsets onboard and both went out. Hard drive functions correctly on another system. No changes were made and the MB was not overclocked. Tried all BIOS configurations. They just died. Running system on UPS. Other Thoughts: First giabyte board I purchased. I normally go with ASUS or MSI. I have 6 desktops in my home office all system built by me. Have ASUS boards that have been running >5 years. You can expect a bad board from any of the MB makers but most problems show up within the first burn in period. Replaced with a ASUS X58 which is runiing now for three days using all the same parts. Note that there have been lots of problems with the X58 tech and my board was first gen (version 1.0) but still a MB should have a longer life spand than 18 months.